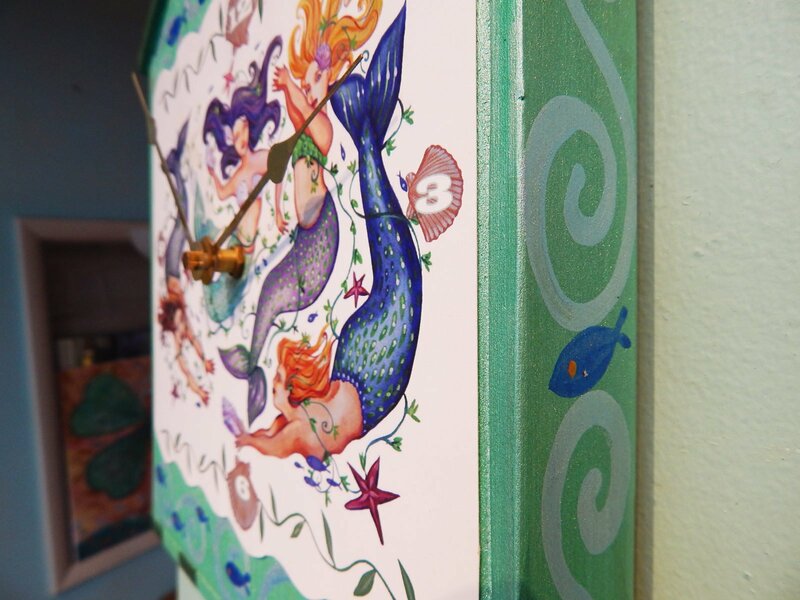 Our mermaids wall clock is much loved by all mermaids! 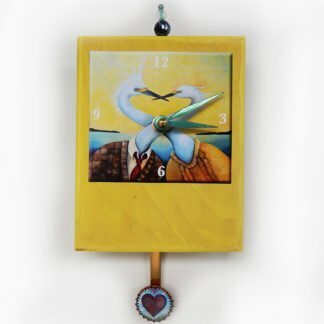 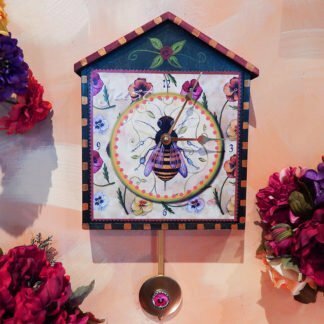 It is hand painted in beachy colors that brighten any room bringing ocean breezes whether your home is on the water or far inland. I detail the sides with swirls and fish that glitter with metallic paint. The mermaids of the world are a colorful club that adore the notion of free-wheeling water babes. 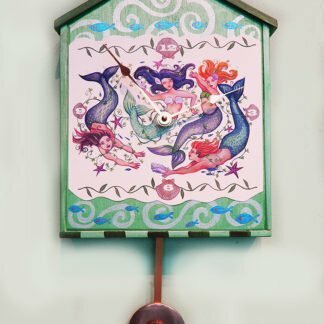 The mermaids wall clock image is also available as a print or a gift card. 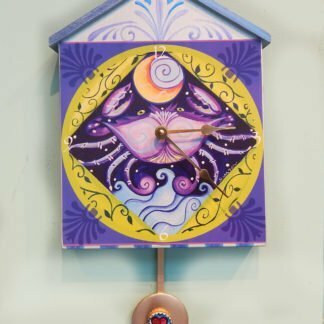 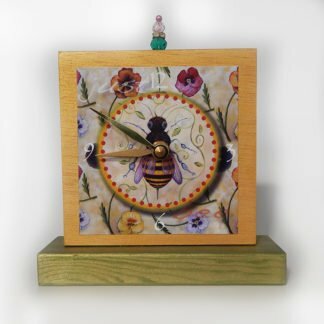 This clock is 18 inches tall including the roof peak and pendulum, 9.5 inches wide and about 2 inches deep. 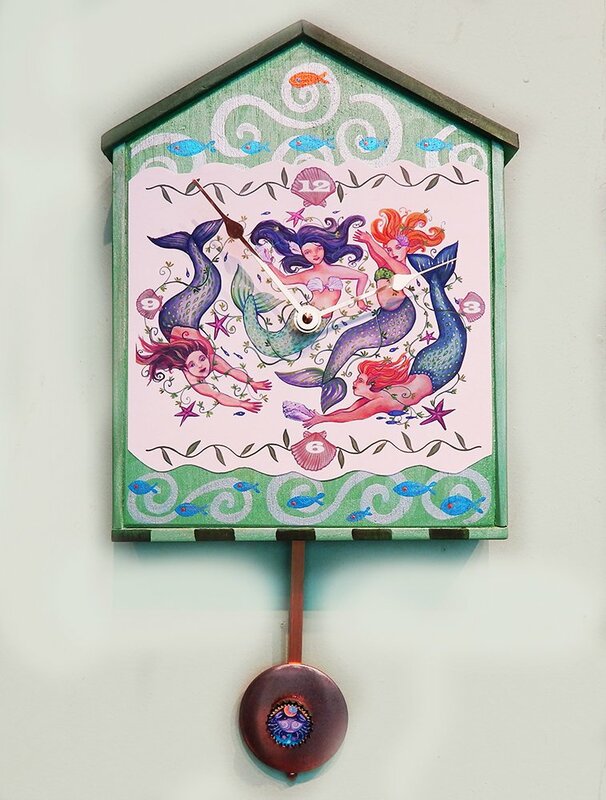 Made by my husband John out in the wood working barn and detail/painted by me- the main mermaids image print is decoupaged in place. The clock pendulum has a tiny image of a crab tucked into a bottle cap on it. 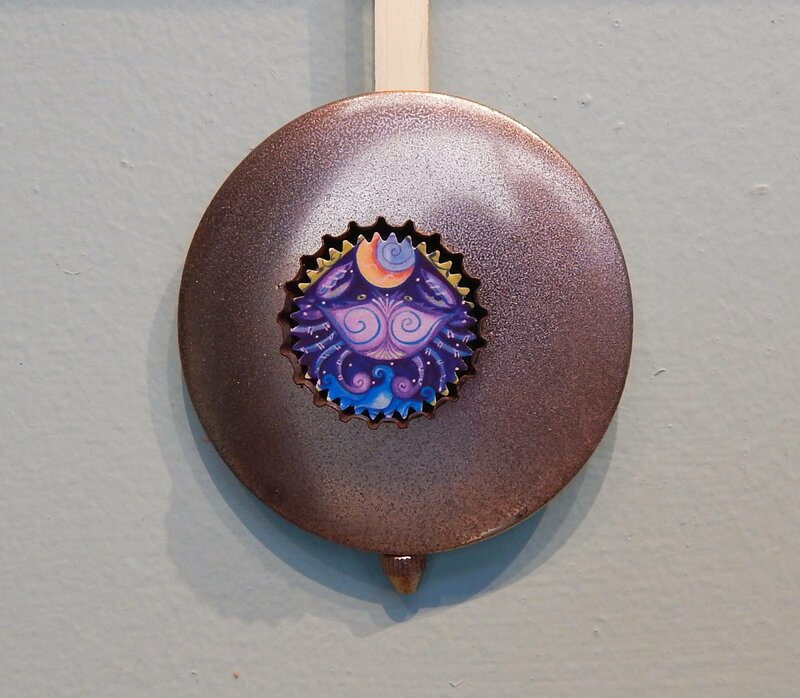 It weighs about 4 lbs, the clock runs on 2 AA batteries, the pendulum is metal.